help amortize giving throughout the year and not just during peak giving times like Christmas." 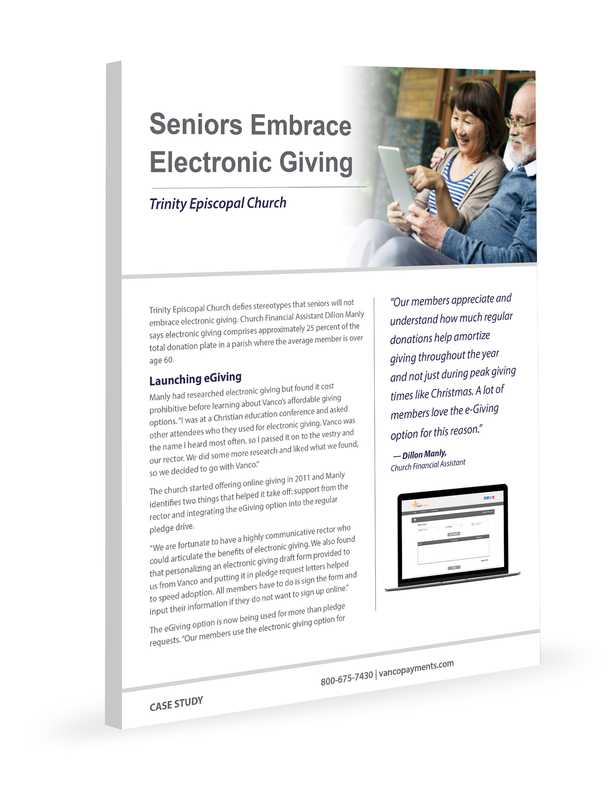 Do you know seniors are powering electronic giving now more than ever? Our case study showcases the top success strategies that led to huge growth in e-Giving, especially among seniors. You will see that these were not complicated, expensive campaigns, but instead were simple, yet effective steps. Get the results now and put them into action for your church.